In major overhaul for its operation Hostess Brands plans to shut down its NY Wonder bread bakery .it has already closed Ohio facility . 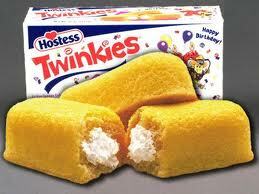 The 100,000 square-foot plant employs 200 staff and mainly produces products for Hostess Brands' "Wonder® Bread" range. 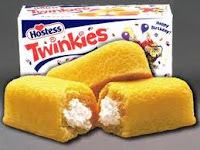 Hostess Brands is one of the largest wholesale bakers and distributors of fresh delivered bread and snack cakes in the United States. They are the maker of the breads and cakes that have treated America for over a century – Twinkies, Ding Dongs, HoHos, Sno Balls, Donettes, WonderBread, Hostess Fruit Pies, and many more. Recently they have launched Nature’s Pride, a 100-percent all-natural, no preservatives, line of premium and traditional breads. My family used to love Hostess snack cakes back in the 60's and 70's but since you changed the ingredients the cakes are terrible. The poor taste and quality is what is hurting you. I would pay the higher prices to cover the cost of sugar if they tasted good. We also don't like the soy in them because my daughter is allergic to the soy filler. Bring back natural ingredients and they would sell and you would have high profits.